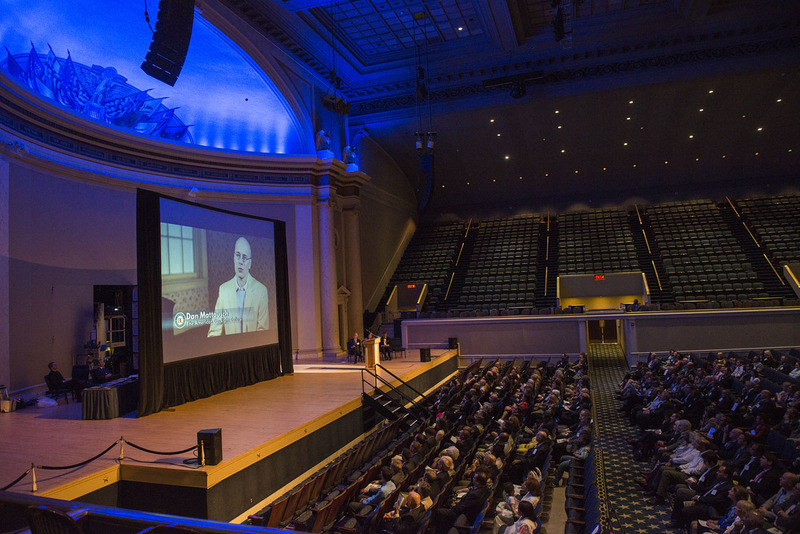 Here are photos of the award ceremony for RMA's book and its print and online design, held May 6 at DAR Constitution Hall. Left to right: Deborah Shapley, Author and President of RMA;` Sally Murray James of Cutting Edge Design; Jillian Fishman of the RMA Board of Directors; Gill Fishman of Gill Fishman Associates, and Gretchen Pfaehler, Chair, DC Historic Preservation Review Board. More than 500 people attended the event and reception for the thirteen awards. 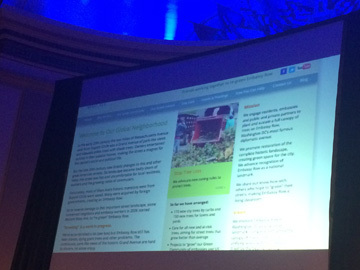 Below: A video about our project was shown to the audience. The video is here. Videos about all the winning projects are here on YouTube. They were made by videographer Jason Hornick. 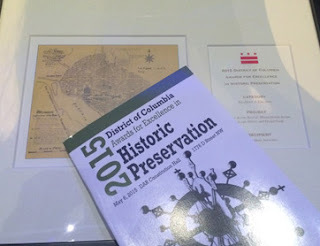 The annual awards have been given since 2003 by the Office of Historic Preservation of the District of Columbia Office of Planning. They are co-sponsored by the DC Historic Preservation Office, the DC Preservation League, and the Daughters of the American Revolution. 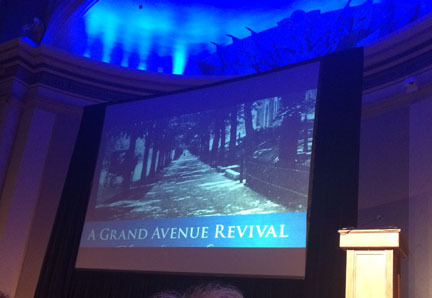 Among other 2015 winners were the L'Enfant Trust Historic Properties Redevelopment Program which creates affordable housing in the Anacostia neighborhood, from older homes about to meet the wrecking ball. Another winner was the sole Ethiopian Orthodox Church in the area. The mostly immigrant congregation needed a home for worship, and created it from an unused 19th century fire station. 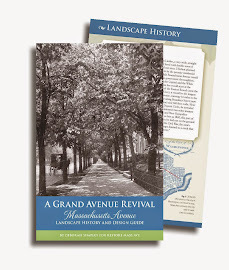 The award to Restore Mass Ave's book was the only one featuring landscape restoration and environment. It was great to have Gill Fishman on hand. His Cambridge, Mass., firm designed how the trees, greenspace and Beaux Arts architecture of Embassy Row could be experienced online. o our new website. Also RMA's new logo, designed by the Fishman firm, had won a Graphic Design USA award. So kudos were in order! The program and RMA award plaque. The two top photos are courtesy of Jason Hornick. Other photos are by Jillian Fishman/RMA.